Choosing the right living room furniture may seem challenging if you don't have much space to play around with. But there are ways to optimize the available square-footage and give the room a spacious appearance. 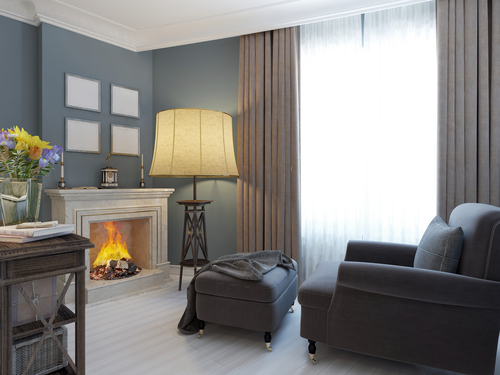 Check out the tips below to learn how you can make the room appear bigger than it actually is. Maximize the available space by investing in furnishings that serve multiple purposes. An ottoman, for instance, can serve as a storage unit, seating option, and table at the same time. Investing in these multi-functional pieces can help you save money and room for an extra chair, center table, or cabinet. Avoid using bulky living room furniture designs if there’s already a shortage of square-footage. Larger pieces make your interiors look stuffy and overbearing. Large-size couches may accommodate more people, but they also take up a lot of indoor space. Instead, choose seating arrangements that are smaller and more delicate in appearance. This will help give your living room an airy and light vibe. When trying to create a spacious outlook, select furnishings in pastel colors. Darker hues and shades tend to make rooms appear smaller. If you opt for a relatively deeper color, accessorize it with features that help lighten up the overall effect. This is especially important for rooms with minimal natural lighting. Experimenting with novel sofa designs doesn't just give the room a sophisticated look; it also helps conserve space. Look for creative options that feature backless or armless designs to give your indoors a roomier appearance. Combine them with single seating options to further maximize your interior space. The right living room furniture can help you attain the layout you’ve envisioned. Turn to Furniture To Go in Brooklyn, NY, to find some of the most amazing furniture items for your home decor. The store houses an extensive range of couches, office items, and dining room essentials to liven up your indoors. For further information about their inventory, call (718) 252-2005 or visit their website.